Hello, everyone. My name is Satoru Iwata, President of Nintendo Co., Ltd. Starting from today, I'd like to deliver a unique (perhaps unprecedented) series of interviews explaining the vision behind Wii, our revolutionary new console. Over the course of the next few weeks we will hear from those who were actually involved in the development of this console. Given that I will interview my own employees, this is a somewhat peculiar experiment. 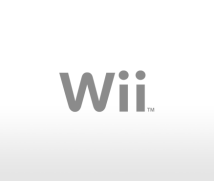 Nevertheless, by talking face-to-face with the developers, I wish to record for posterity the course that led to the creation of Wii, and the background behind its development. There are many things that only they will be able to recount. I hope you enjoy it.